Strangely enough, I heard about Manufactured Landscapes on a gaming podcast (1Up's Oddcast). I forget how the subject came about, but one of the hosts started talking about the movie and the subject piqued my interest. 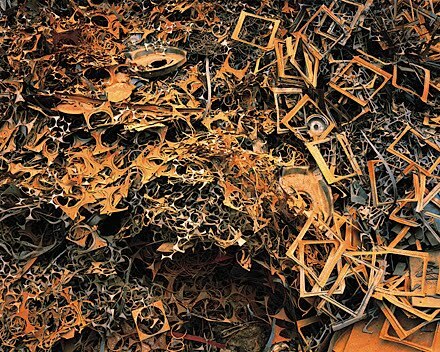 This award winning documentary is a showcase of photographer Edward Burtynsky's work. The subject matter deals specifically with China, a land that was not long ago 90% agrarian and 10% urban, but now is closer to 70% urban. 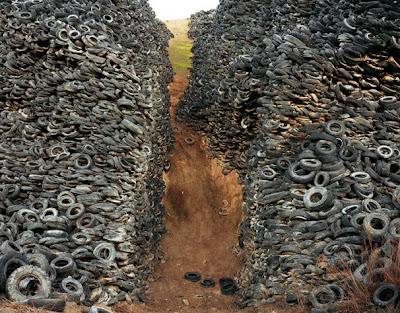 Because of this drastic change over the decades, the landscape of the country has changed dramatically through industrialization. 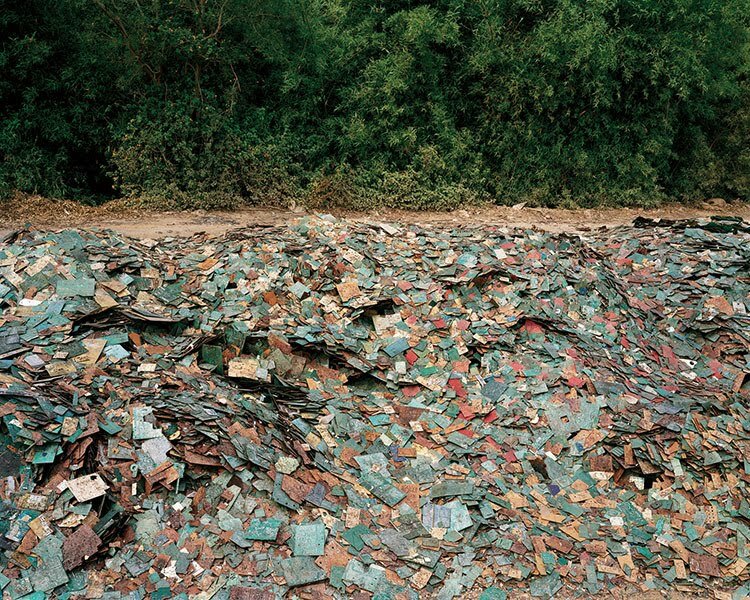 Burtynsky's photographs show us the destructivity of this change, but in a way, brings about the beauty from what would otherwise be monstrous images. To me, the most gripping imagery is in the first shot of the movie. 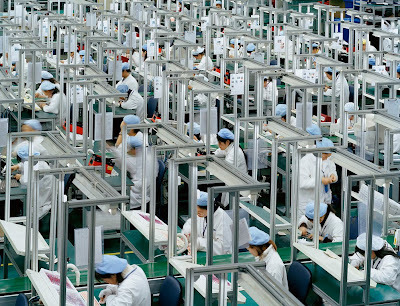 It's a long 5 minute shot that slowly pans across an electronics factory in China. 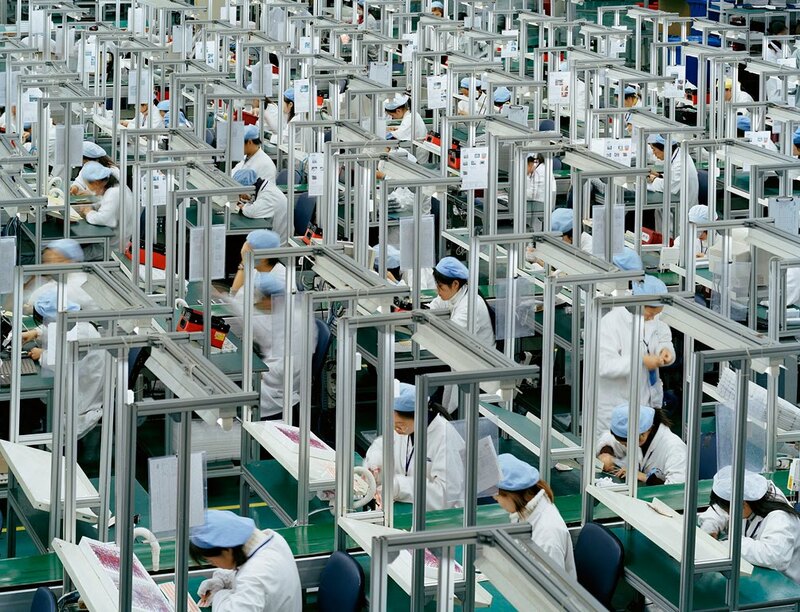 We see the workers working like ants, and there are probably a thousand of them lined up in rows building these parts. It really made me think of all these electronics I have at home, even this keyboard that I'm typing with right now. I'm pretty sure a good deal of my electronic goods went through such a process. 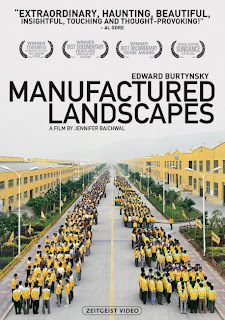 The movie itself is an interesting one in that it takes a very non-objective look at the ever changing country. 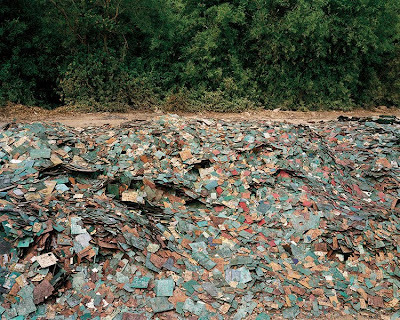 Burtynsky neither praises or condemns the subject matter going on, but rather embraces it for what it is and immortalizes them through his photographs. But I must say, because of the lack of a narrative, it kept me from being captivated throughout the whole movie. 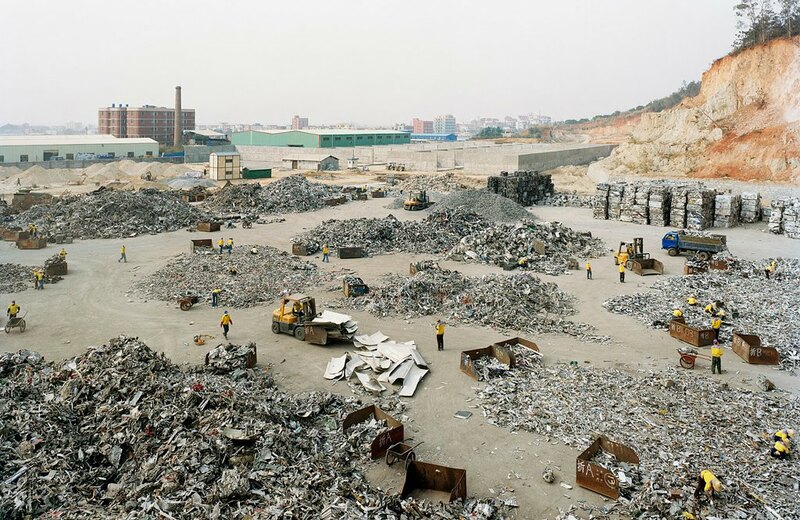 After seeing a half an hour of industrial wastelands, the next hour kind of loses its appeal. That said, the imagery is still fantastic. You can check out his website (here) for tons more photographs, but below are a selection of a few plus the trailer for the movie. Later geeks! PS. This is Ka Lei btw, couldn't sleep so instead am wandering the interwebs. w00t, hey Ka Lei! It's definitely an interesting and eye opening watch. I like your blog btw, didn't know you blogged. I will add you to my list :) Peace!